Biomes are the world's major habitats. These habitats are identified by the vegetation and animals that populate them. The location of each land biome is determined by the regional climate. Tropical rainforests are characterized by dense vegetation, seasonally warm temperatures, and abundant rainfall. The animals that dwell here depend on trees for housing and food. Some examples are monkeys, bats, frogs, and insects. Savannas are open grasslands with very few trees. There's not much rain, so the climate is mostly dry. 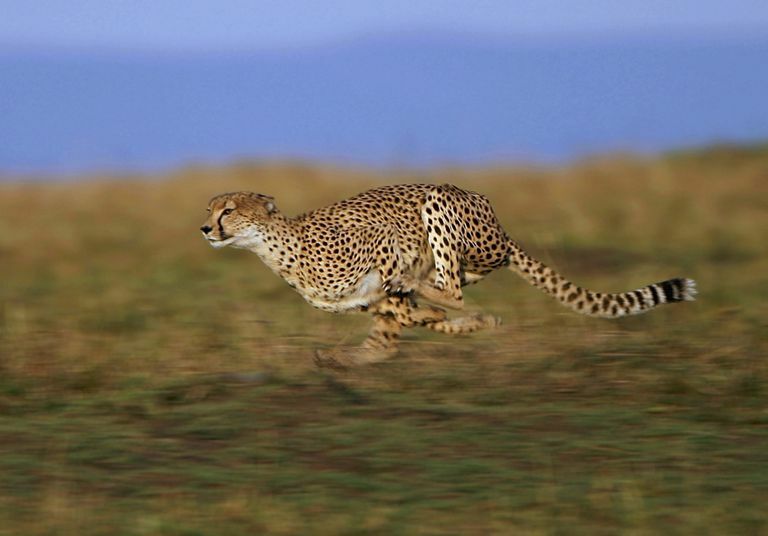 This biome includes some of the fastest animals on the planet. Inhabitants of the savanna include lions, cheetahs, elephants, zebras, and antelope. Deserts are typically dry areas that experience extremely small amounts of rainfall. They can be either cold or hot. Vegetation includes shrubs and cactus plants. Animals include birds and rodents. Snakes, lizards, and other reptiles survive the severe temperatures by hunting at night and making their homes underground. Chaparrals, found in coastline regions, are characterized by dense shrubs and grasses. The climate is hot and dry in the summer and rainy in the winter, with low precipitation overall. Chaparrals are home to deer, snakes, birds, and lizards. Temperate grasslands are located in cold regions and are similar to savannas in terms of vegetation. Animals populating these areas include bison, zebras, gazelles, and lions. Temperate forests have high levels of rainfall and humidity. Trees, plants, and shrubs grow in the spring and summer seasons, then become dormant in winter. Wolves, birds, squirrels, and foxes are examples of animals that live here. Taigas are forests of dense evergreen trees. The climate in these areas is generally cold with plenty of snowfall. Animals found here include beavers, grizzly bears, and wolverines. Tundra biomes are characterized by extremely cold temperatures and treeless, frozen landscapes. The vegetation consists of short shrubs and grasses. Animals of this area are musk oxen, lemmings, reindeer, and caribou. In the hierarchical structure of life, the world's biomes are composed of all of the ecosystems on the planet. Ecosystems are inclusive of both living and nonliving material in an environment. The animals and organisms in a biome have adapted to live in that particular ecosystem. Examples of adaptations include the development of physical features, such as a long shout or quills, that enable an animal to survive in a particular biome. Because the organisms in an ecosystem are interconnected, changes in an ecosystem impact all of the living organisms in that ecosystem. Destruction of plant life, for example, disrupts the food chain and could lead to organisms becoming endangered or extinct. This makes it vitally important that the natural habitats of plant and animal species be preserved. In addition to land biomes, the planet's biomes include aquatic communities. These communities are also subdivided based on common characteristics and are commonly categorized into freshwater and marine communities. Freshwater communities include rivers, lakes, and streams. Marine communities include coral reefs, seashores, and the world's oceans.